Imagine one day finding out the tingling you’ve been feeling isn’t normal numbness, it’s actually caused by “beautiful bright spots” in your brain. Now imagine you’re not yet a teenager. That’s exactly how it happened for Anna Sweeney, now a disabled woman and disability rights advocate. 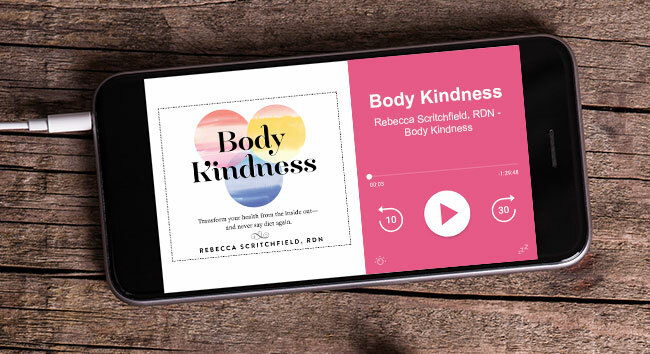 In her “body betrayal” letter, Anna shares how she transformed these boxes of difficulty she wanted to ignore and hide away into a powerful tool for change in her life and our culture. Connect with her on Instagram @DietitianAnna. 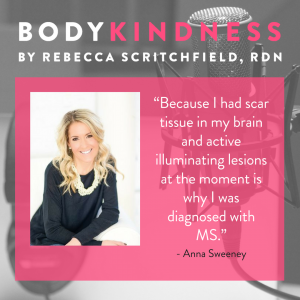 Anna Sweeney, MS, RD, LDN, CEDRD-S is a Certified Eating Disorder Registered Dietitian and Supervisor, Certified Intuitive Eating Specialist and an avid HAES, non-diet dietitian. She is the owner of Whole Life Nutrition Counseling and serves as the national director of nutrition services for Monte Nido. Anna is an expert in providing care for individuals struggling with eating disorders, disordered eating and body image distress. 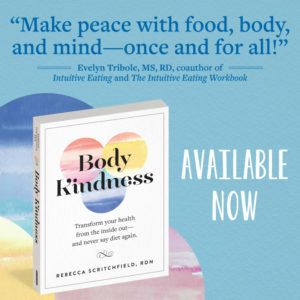 She works by combining her knowledge of nutritional science, experience in the treatment of eating disorders, and heartfelt, thoughtful care to support her clients in moving away from the cultural pressures that make authentic eating and living so difficult. Anna also proudly (and newly) identifies herself as a disabled woman and is excited about exploring the world with this new identity.